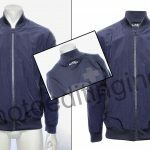 Neck Joint Services will be a familiar term for clothing industry entrepreneurs because it remains one of the most popular product photo editing technique offered by various photo editing companies. We all have visited e-commerce websites at least once in our lives and often wondered how photographers captured the images of apparels. 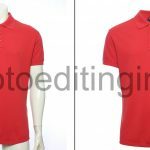 It is true that even professional photographers encounter a few challenges when they are capturing images of garments or apparels, which is the major reason why they seek the help of an experienced neck joint service provider like Photo Editing India for editing the images. 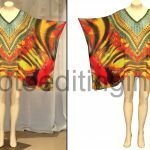 Neck Joint Service for garments is a complex photo editing process and requires careful attention to detail. Photo editors will have to concentrate not only on the color developments of the apparel images but also on the quality of the garment. This is why seeking the help of experienced photo editors who have access to modern photo editing software applications for carrying out the job is crucial. Neck joint services are often used by several e-commerce businesses to add or composite front part and back part of the neck, back pieces, collar, sleeves, T-shirts, pants, shirts, sweaters or any other type of garment in an image. This will significantly boost the quality of the image, which in turn creates a striking first impression on the potential homebuyers and thereby urge them to check out the product displayed. A recent study conducted by experts revealed that customers make a decision on whether to buy the product from an e-commerce website or not within a span of just 30 seconds. This means that you have approximately half a minute to convince your customers that you are selling high-quality garments. Therefore, what you should do is to keep your potential customers occupied with the elegant and attractive images of your products and get them to check out the product. 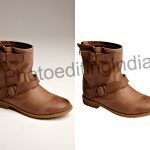 This is where Photo Editing India can help you. If you are in search of a dynamic and innovative way to show of the extensive collection of your garments, our neck joint or ghost mannequin service can offer you a huge return on the investment. 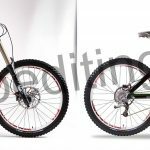 Our in-house team of experienced photographers has dealt with a number of challenging neck joint service works and they have delivered appreciable results in each of the instances. Customer satisfaction is our primary concern, so we will do everything in our power to ensure that you are happy with the results. Learn more about our policies, services, and previous works by visiting our website.